Interviewing: Usually Wasted Effort - Crouser & Associates, Inc. Probably the least valuable thing we do when hiring a new employee is interviewing. Most of us talk more than we listen. We don’t prepare questions in advance, rather “wing it” and spent most of our time trying to sell the interviewee on why they should come to work for us. We ask feel-good questions which telegraph answer we want to hear. You know, “If your spouse was sick and we had a big job to get out, would you come to work or stay home?” That’s not a way to learn about a potential employee. What is? 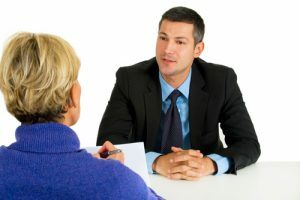 Ask behavior-based interview questions. Give it time and insist on a specific answer for you most likely will get non-answers at first. “Shoot, I can’t even remember the last time was late to work.” Or “I’m never late to work.” That’s where we have to be comfortable with silence. Usually we have this tendency to fill the silence by excusing them and moving onto something else if they don’t have a ready answer. Allow time and become comfortable with silence. By eliciting a person’s past performance, you will be able to better judge their future behavior. It’s as simple as that and it’s the one thing you can really learn from interviews. Getting a “feel” or “impression” from a candidate is of little help in comparison. Here’s a number of generic behavior-based questions from Monster.com. How would you answer them? Give me an example of a time that you felt you went above and beyond the call of duty at work. Can you describe a time when your work was criticized? Have you ever been on a team where someone was not pulling their own weight? How did you handle it? Tell me about a time when you had to give someone difficult feedback. How did you handle it? What is your greatest failure, and what did you learn from it? How do you handle working with people who annoy you? If Tell me about the last time your supervisor asked you to do something that you disagreed with. What did you do? What was the most difficult period in your life, and how did you deal with it? Give me an example of a time you did something wrong on the job. What did you do? Tell me about a time where you had to deal with a conflict with another employee. What assignment was too difficult for you, and how did you resolve the issue? Tell me about a time when you had a difficult problem to solve or difficult situation and the boss wasn’t around to help. Tell me about the last time you were required to finish multiple tasks by the end of the day, and there was no conceivable way that you could finish them. What did you do? Remember that you are not listening for the answers as much as you’re listening for the behaviors that they represent. After all, a person who solves a difficult issue with finesse in the past, is most likely to do so in the future. Those are but some examples of behavioral based interviewing. Don’t create your questions on the fly. Decide what you will ask before the interview and then ask all candidates the same questions so you can compare. You might ask some candidates additional questions, but have a base-line of comparison questions. Bet Ted Dawkins wished he had done it this way. He can never find good help these days. For more information on how Crouser & Associates can be of help to you and your small business, message me at tom@crouser.com and we’ll chat. Or call my cell at (304) 541-3714. No cost or obligation.